"The Dugout - Create a Treasure from the Past" has photos and instructions on carving a dugout. 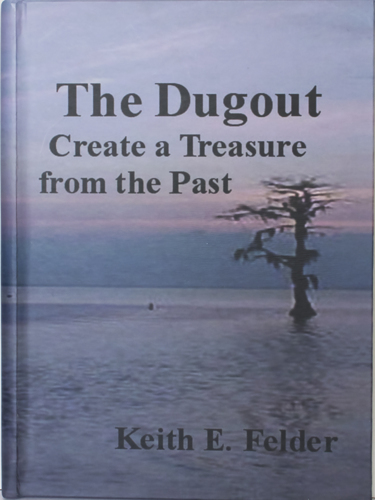 The cover photo was taken on Lake Maurepas, Louisiana where the cypress logs are found. The book is 6.5" by 9.5" in size and has 22 pages with color illustrations. The cost is $24.95 plus $5 for shipping and handling in the United States.